In A Forger’s Tale—convicted forger Shaun Greenhalgh’s new memoir—Greenhalgh reveals that he drew Leonardo da Vinci’s La Bella Principessa, which has been valued upwards of $100 million. Greenhalgh even admits that he modeled the subject after a supermarket checkout girl. If Greenhalgh’s claims are true, how did this forgery go unnoticed for so long? How did it pass the sniff tests of so many art historians and purported experts? Undoubtedly, Greenhalgh was able to combine excellent painterly skills with a knowledge of art history, materials, and technique. But these alone would not have allowed him to dupe so many. At the center of every major forgery scandal of the last century stands someone like Greenhalgh who not only could produce a very convincing fake, but who also understood how to corrupt the very systems of knowledge the art world uses to determine attributions and authenticity. True art connoisseurs are experts able to discern both the quality and authorship of a work of art. The practice of connoisseurship originates with an Italian physician named Giovanni Morelli, who began publishing essays in German in the 1870s under a Russian name, Ivan Lemorlieff, proposing intuition-based connoisseurship. Earlier methods had emphasized looking at iconography (study of the meaning of images). 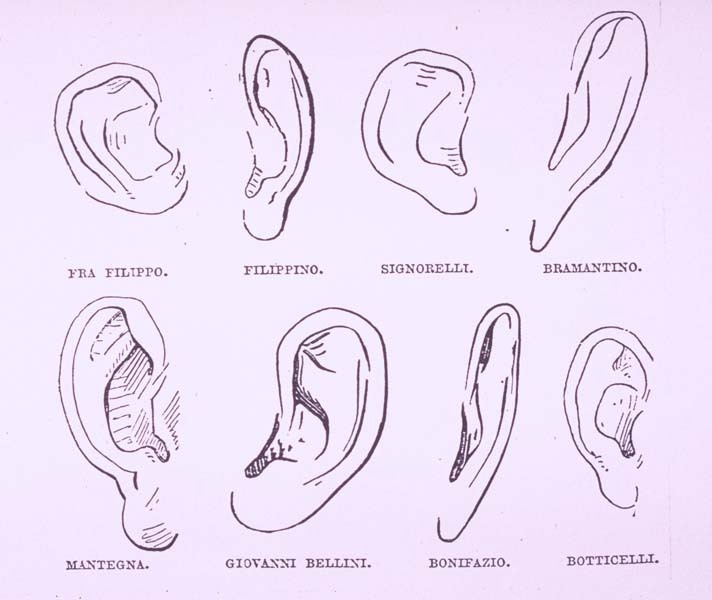 Instead, Morelli proposed a system that gave budding connoisseurs a rational, scientific way to make attributions. Focusing on overlooked details like the rendering of ears and hands, the technique placed great reliance on the expert’s capacity to read minute clues in order to extrapolate larger meanings. His technique of observing neglected features would influence Sigmund Freud as he developed a methodology for interpreting dreams, along with Sir Arthur Conan Doyle’s Sherlock Holmes, a detective who solved crimes by looking for clues—like the unique shape of each human ear. Our knowledge system for identifying artists and artworks also remains much indebted to Linnaean taxonomy, which is itself rooted in the concept of “type specimen,” which argues that for every species of plant, there exists one single dried version of it in a botanical archive. The archival version defines what that species ought to look like. In art, the equivalent of type specimen is the indisputable works (usually in museums) to which all other aspirants for the same attribution must conform. The first great forger of the 20th century, Han van Meegeren, had repeatedly failed to secure attribution for his fake Vermeers. 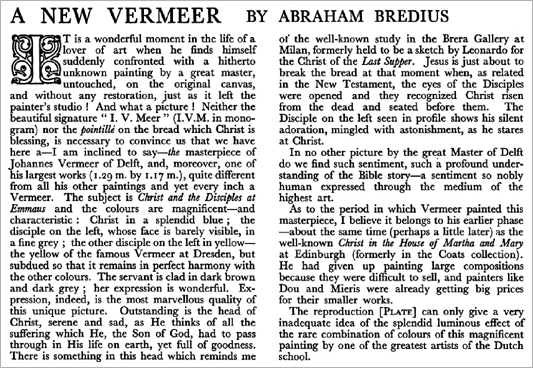 But in 1937, he succeeded spectacularly when reigning expert Abraham Bredius authenticated van Meegeren’s fake Christ and the Disciples at Emmaus. This work (which looks absolutely nothing like a Vermeer) was able to sway Bredius because the expert had always believed in the possibility of a Vermeer “religious period” since Vermeer had likely converted to Catholicism (his wife’s religion). In other words, van Meegeren shrewdly exploited the expert’s own preconceived beliefs. Once approved by the expert, the painting became an accepted part of Vermeer’s body of work—opening the door for subsequent forgery attempts, done in a similar (implausible) style. Forgers also become good at foiling yesterday’s forensic methods. In the first half of the 20th century, art dealers would test a work’s authenticity by rubbing alcohol on the paint and poking it with a hot needle (new paint can be punctured, while older paint can’t). To circumvent this test, van Meegeren mixed Bakelite, a type of plastic, into his works. However, current methods of testing can quickly detect the presence of phenol formaldehyde, the main component of Bakelite, which is a material only van Meegeren was known to use. 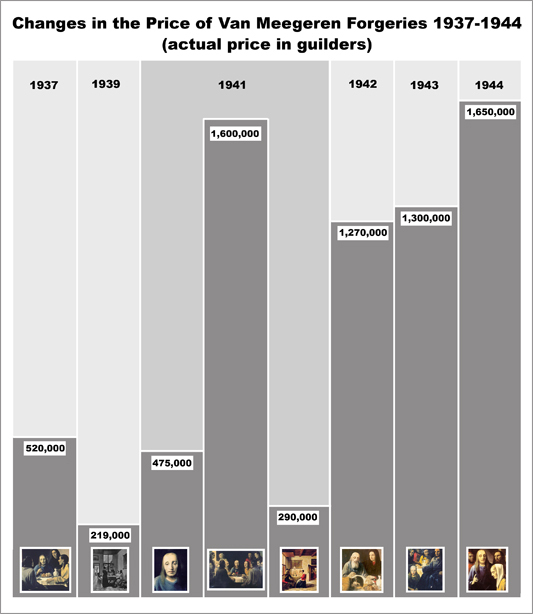 Van Meegeren was caught only because he had sold one of his “Vermeers” to Nazi leader Hermann Goering. 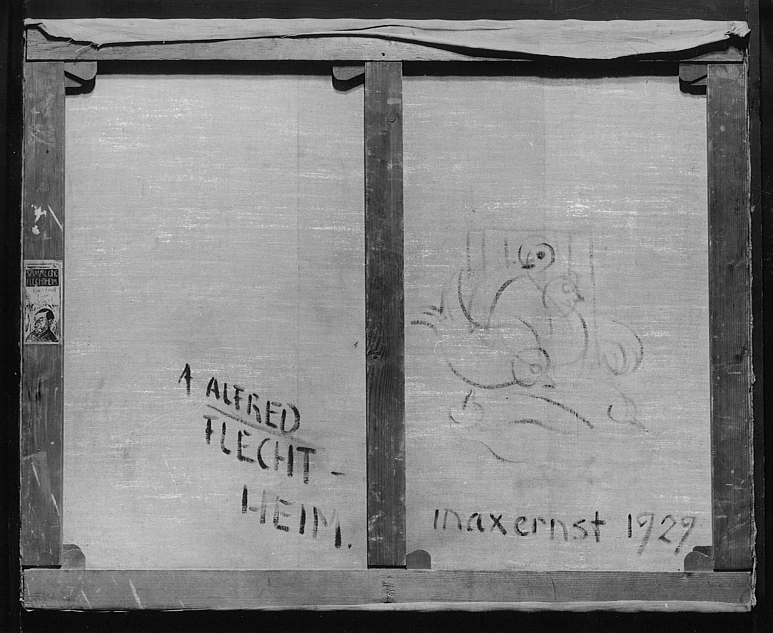 After being charged with Nazi collaboration in the years following World War II, van Meegeren confessed that he had forged the artwork, and painted another work in the courtroom as proof. He would be convicted of fraud and died while appealing the sentence. Some have called Elmyr de Hory the greatest forger of our time. He did irreparable damage to the Modernist art market in the 1950s and 1960s; in fact, a definitive catalogue raisonné (comprehensive listing) of Italian painter Amedeo Modigliani’s works cannot be written, so thoroughly tainted is his body of work with Elmyr’s forgeries. But much of the genius behind the scam lay with his dealers, who devised tactics for corrupting the intellectual structures of the art market. They co-opted experts—known in France as the aupres du tribunal—who could guarantee a work’s authenticity, knowing whom they could bribe and whom they could fool. Copying the stamps of these experts (used in the certificates of authenticity), Elmyr’s dealers produced their own documents and customs stamps. This ensured ease of transport, while also creating an artificial provenance. Perhaps their nefarious genius is best shown by their technique of acquiring pre-war monographs on their target artists that used “tipped-in” color plates. 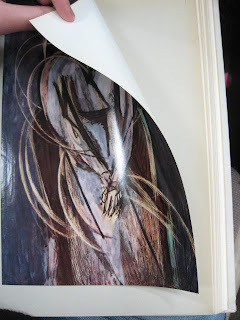 These were art books that had their images printed on a different paper from the text; these pictures would be only lightly glued onto the page. Elmyr’s dealers would then remove the plate, before replacing it with an image of an Elmyr forgery (nothing confirms authority in the art world like a printed book). All forgers learn from their predecessors, and the German forger Wolfgang Beltracchi (born 1951) built upon these cunning techniques. 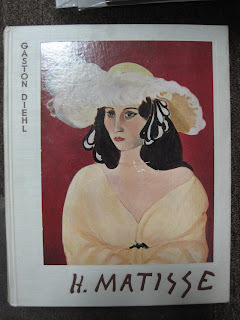 In French and German gallery exposition catalogues dating from the 1910s and 1920s, he searched for paintings considered forever lost, ones whose images had never been replicated and reprinted. Since only titles existed, Beltracchi would produce counterfeits according to the title. But he also understood that artworks were judged on their provenance; he needed to ensure that each painting’s backstory and history of ownership checked out. His solution? Inventing the art collection of the Cologne factory owner Werner Jägers, the grandfather of his wife. 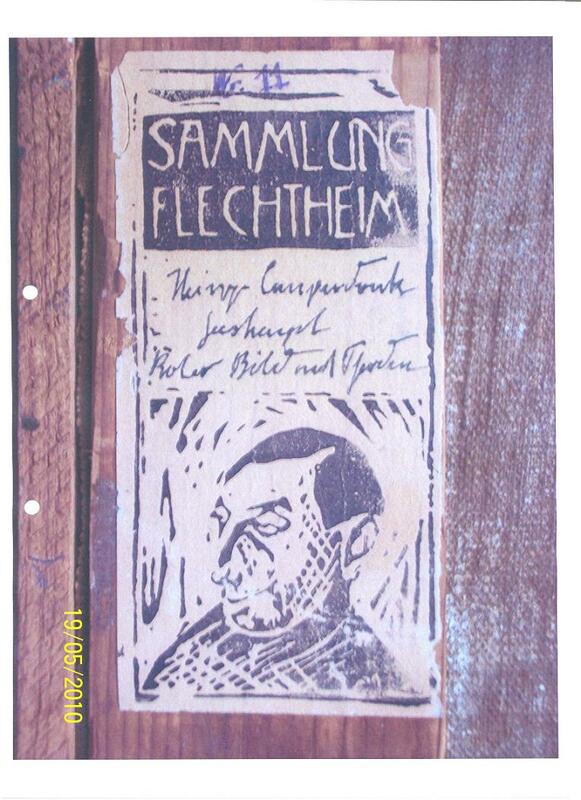 He stamped Sammlung Werner Jaeger Koeln (“Collection of Werner Jägers”) on the backs of his paintings. He also affixed forged collection stamps from Galerie Flechtheim, one of the most important Modernist dealers during the Weimar period. Helene Beltracchi posing as her grandmother. Beltracchi even photographed his wife posing as her grandmother, with period furniture and his forgeries hanging on the wall, since an archival photograph is the Holy Grail of provenance documentation. Increasingly, the Sammlung Werner Jägers Koeln stamp was enough to validate any work on the German art market. Beltracchi also knew exactly which paints to avoid, and worked with only period pigments. He did not, however, realize that his tube of Zinc White (a 19th-century pigment) might be mixed with Titanium Dioxide (a post-1920 invention), and this is what spelled his doom. Beltracchi’s attempts to manipulate both provenance and science illuminates the future of art forgery in the twenty-first century: the really dangerous forgers are the ones who can infiltrate and corrupt the core of the knowledge system upon which the art world relies. This article was originally published onThe Conversation. Read the original article.